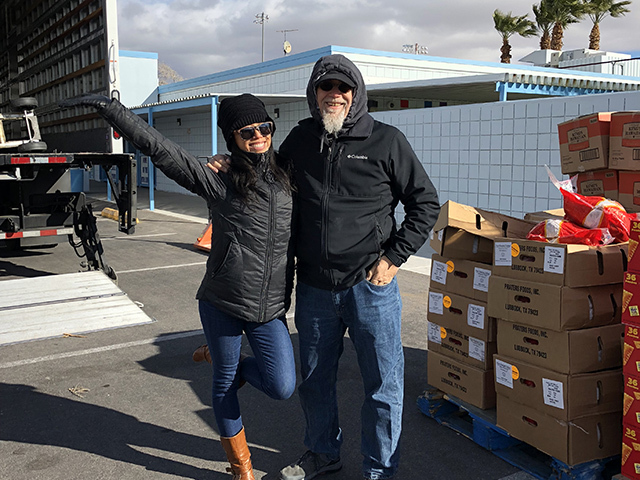 The Las Vegas team partnered with The Just One Project, setting up a pop-up food bank at a local elementary school. We distributed seven pallets and a pickup truck of good food: turkeys, potatoes, fruits, veggies, and snacks. AFR® Gives Back! We met with a representative from The Just One Project this morning. She related to us the impact of AFR’s participation in the pop-up food bank last year. 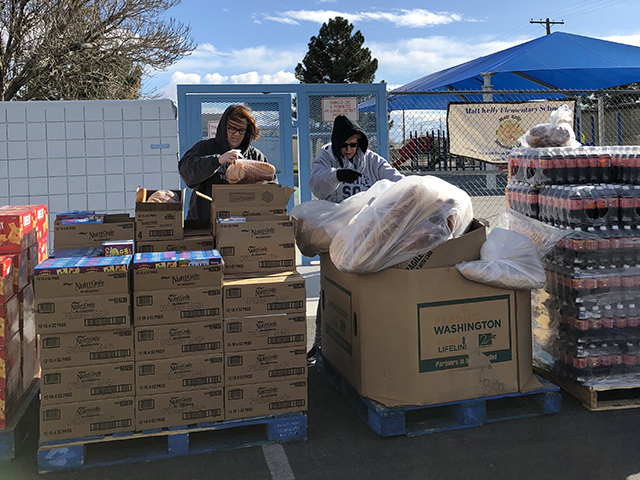 Up until that point, the logistics of moving the food to the designated spot was done by a conglomeration of private pickup trucks belonging to the volunteers. When we sponsored a pop-up we naturally brought the food over in one of our AFR branded 26-foot trucks. Since then, they have partnered with the food distribution company that stores their donations to deliver to the pop-up food banks. 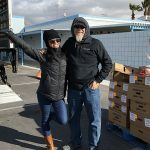 This has enabled them to greatly increase the amount of food distributed and to serve a much larger part of the food insecure population in Southern Nevada. 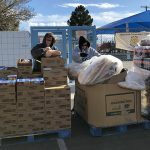 Starting in September, The Just One Project will open their third pop-up food bank in one of the most under-served communities in Las Vegas. This area takes in a large portion of base housing for Nellis Air Force Base and other low-income neighborhoods. AFR Las Vegas has agreed to partner and provide a truck and driver once a month for this new location. AFR will provide the truck and fuel and the drivers/supervisors/management team will donate their time to do the deliveries. These folks are doing good work and fulfilling a real need in the community.